Second, we had a good time with the Boys Read and Write Club this year. Several different guys came between April and July, read books and wrote reviews of them for this blog. Eventually I had to discontinue the club because we couldn't get enough boys to show up every month (it's hard to keep a book club going, especially during the busy school year) but it was very good to see boys get excited about reading. 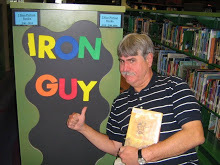 Third, the Iron Guy was very honored to have an interview in July with the great Phyllis Reyonlds Naylor. She's a very well known and respected author and wrote, among many other things, the very funny Boys vs Girls series. I'm very thankful that she gave an interview to this humble blog and I'm glad to say that she's a delightful person! I've also seen the first book in the series, The Boys Start the War, get checked out several times and I'm very thankful that others are getting turned onto these terrific books. 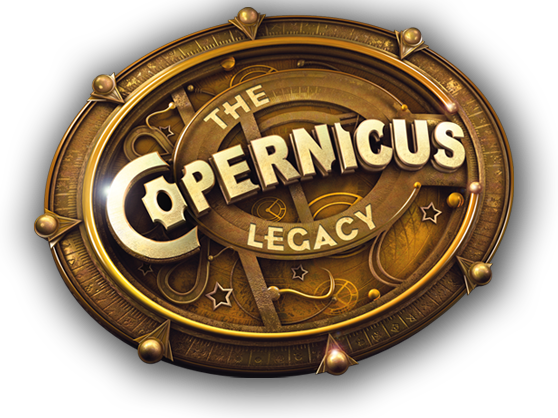 Fourth, I'm very grateful for author Tony Abbott and The Copernicus Legacy, that ultra-fantastic new book series. I haven't been so excited about such new books in years--not since I read The Lightning Thief way back in 2007. 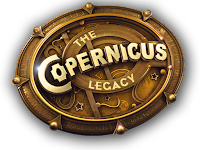 It would take me all day to talk about these books, so click on "The Copernicus Legacy" label under this post and see my enthusiastic reviews. I've just started The Golden Vendetta and am happily looking forward to getting lost in it. Finally, in light of all the terrible events of the last week, I'm grateful that we live in a country where we are free to read what we like. Any one of you reader guys could go into your local library and check out whatever you'd like (with your parents' permission, of course) And you don't have to worry about soldiers banging on your door in the night because of the books in your house. That's not true in some places in the world. We shouldn't take this lightly, everyone. And I'm very thankful for the brave men and women in this country and others who defend that right. And I'm very glad to be in the fine Charlotte Mecklenburg library system that makes sure boys (and girls) have free access to books. And I'm also thankful for the many bloggers like our good friend Ms. Yingling who keep me and other grownups informed of terrific books. 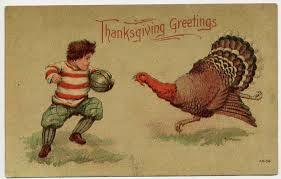 So let's put this into practice--what books are you thankful for this year? Is it something you've read already or something you're reading now? Tell us in the Comments section--we'd love to know! 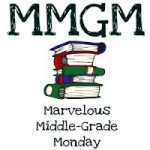 Update--today, Nov. 23, is Marvelous Middle Grade Monday, hosted by author Shannon Messenger. Check it out to find some truly cool books. Every once in a while I like to talk about a book I've read and reviewed before. That's what I call a Blast from the Past. Sometimes it's because I'm too busy to make a new recommendation; sometimes it's because I enjoyed a book so much that I just have to tell you about it again. And sometimes an event will trigger the memory of a terrific book that I had forgotten about. That's the case for The Last River: John Wesley Powell and the Colorado River Exploration Expedition by Stuart Waldman and illustrated by Gregory Manchess. I was fortunate enough to go to the Grand Canyon a couple of weeks ago and it made think of this book that I had reviewed waaayyy back in 2008 and hadn't thought of in years. What a terrific book! What a great adventure story! What a remarkable guy! 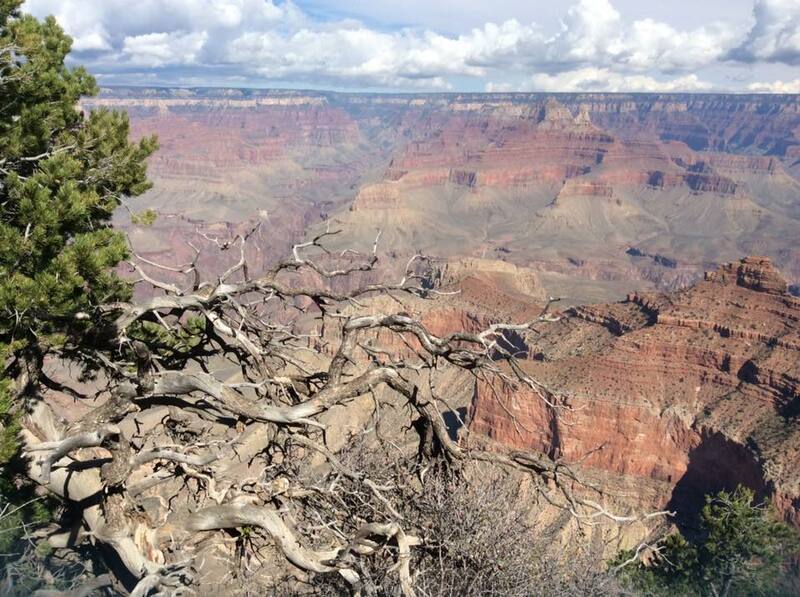 To be brief, John Wesley Powell was a geology professor. He had also fought in the Civil War and lost an arm. But he wouldn't let a handicap stop him and, driven by his desire to learn and see new things, he took off in 1869 to explore the Green and Colorado rivers.The only thing was that no one had ever done it before. No one. It was too dangerous. The climate was too harsh. There was no one to rescue you if you got into trouble. But, driven by his desire for adventure and knowledge (determination, adventure and learning--three things that make a guy a GUY), he set out with a band of explorers to chart this unknown territory. Did he make it? You'll have to read this unbelievable story to find out! 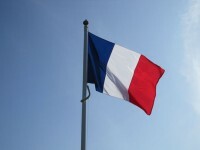 But what a story you'll get--adventure, adventure and sheer dogged determination in the face of impossible conditions. And the illustrations--wow, they will knock your socks right off! They are beautiful, dramatic and fit this incredible story perfectly. This book has been around a while but I'm glad to say that the Charlotte Mecklenburg Library system still has five copies. And it's short enough to be a good quick read but long enough to really get into. Don't waste a moment, guys--get out right away and bring it home! PS--Today is Nonfiction Monday. Check it out to learn about other great nonfiction books.